The 6640Q QUANTUM HALL RESISTANCE (QHR) BRIDGE has been completely redesigned to provide better uncertainties and more operational capability. The 6640Q Quantum Bridge incorporates many patented new design and measurement technologies to provide a Precision Resistance Bridge operating at room temperature that will scale from the Quantum Hall resistance value of 12906.4035 Ω to nominal resistance values of 0.1 Ω to 100 kΩ. National Measurement Institutes, Military, and calibration laboratories throughout the world. 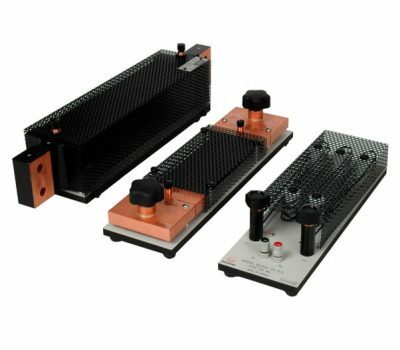 The 6640Q is based on over 50 Years of Guildline’s experience designing and manufacturing DCC Bridges; and incorporates customer feedback from over two hundred Guildline 6622A Resistance Bridges in use at NMIs, militaries, and calibration laboratories throughout the world. In fact, many of the design concepts incorporated into this new 6640Q Bridge are patent protected. 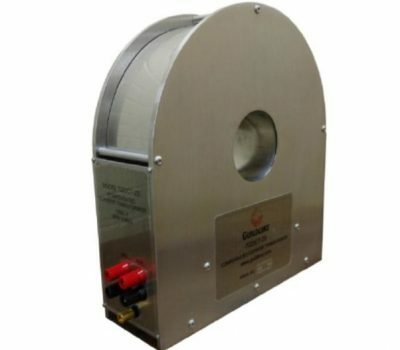 While the design enhancements are not visible, the end measurement results are clearly visible. 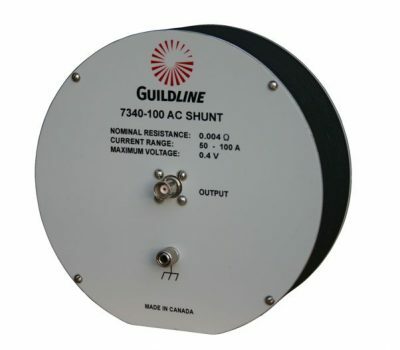 These enhancements allow for considerably less noise, faster measurement cycles, improved stability and repeatability; and most of all, the world's most advanced operator interface found on any Resistance Bridge. The 6640Q Bridge can be used to build up or down from the Quantum Hall value of 12906.4035 Ω to nominal resistance values from 0.1 Ω to 100 kΩ; transferring directly to 1 kΩ and 10 kΩ with a relative accuracy of 2×10-8 (2 sigma level) or better at the 30 µA to 100 µA level required for QHR Systems. 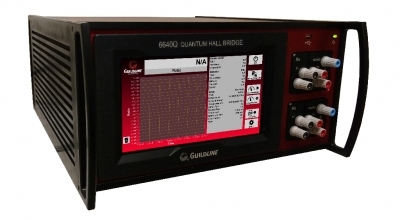 The 6640Q Quantum Bridge can be used stand-alone, with Guildline’s Bridgeworks software, or with its advanced IEEE-488.2 Structure and Industry Standard SCPI Command Set. 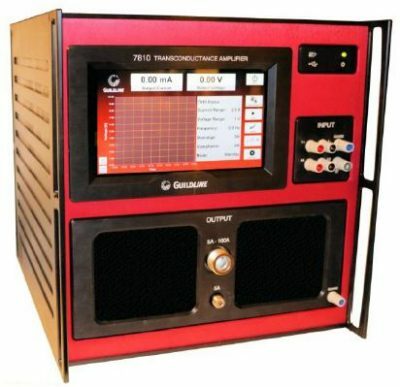 Guildline’s 6664C Low Thermal Quad Matrix Scanner is also available to automate this process and a customer can easily use their own software to make automated measurements.